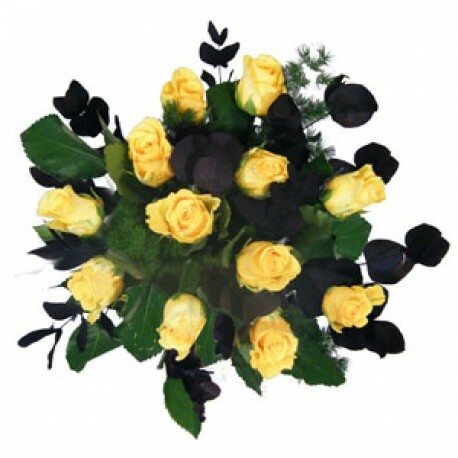 Stunning yellow roses make a perfect gift for those that want to be a little different this year! A stunning design featuring 12 luxury yellow roses and mixed foliages making this bouquet the perfect gift for the one you love. This gift is available for next day delivery in Middlesbrough and surrounding areas.